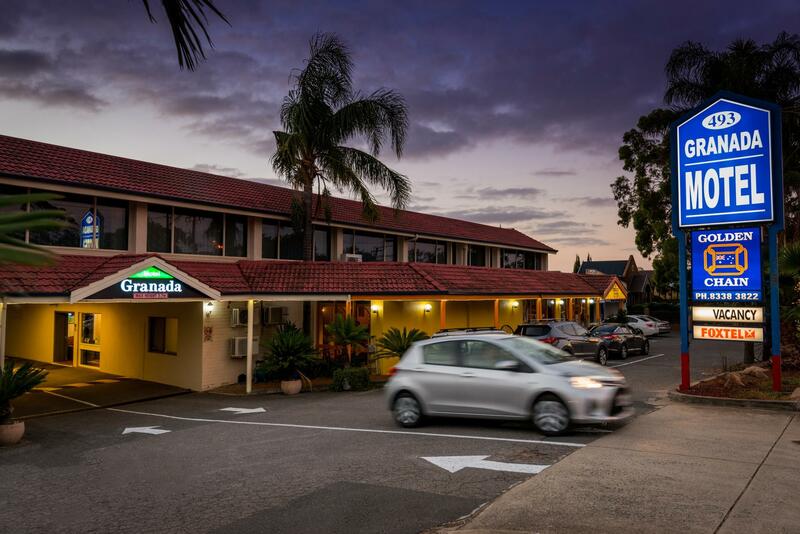 يشكل Adelaide Granada Motor Inn بموقعه الممتاز في المدينة نقطة انطلاق جيدة لاستكشاف أفضل ما فيها من معالم ومناطق نابضة بالحياة. يجذب هذا العقار ذو 3.5 نجوم، والذي يبعد 5 km فقط عن وسط المدينة و 10 km عن المطار، الكثير من الزوار سنوياً. كما يمكن الوصول بسهولة إلى عدة معالم سياحية قريبة. إن الخدمات الممتازة وحسن الضيافة العالي في Adelaide Granada Motor Inn تجعل إقامتك تجربة لا تنسى. إن واي فاي مجاني في جميع الغرف, خدمة التنظيف يوميًا, خدمة غسيل ذاتية, خدمة سيارات الأجرة, مرافق مخصصة لذوي الاحتياجات الخاصة هي جزء فقط من الخدمات التي تميز Adelaide Granada Motor Inn عن باقي الفنادق في المدينة. تتضمن كل غرف النزلاء وسائل الراحة والتسلية المصممة خصيصاً لضمان الراحة القصوى للضيوف. يقدم الفندق مجموعة واسعة من وسائل الراحة المتنوعة، كمثل: حمام سباحة خارجي, حديقة. يحظى فندق Adelaide Granada Motor Inn بموقع ممتاز وخدمات يصعب منافستها. 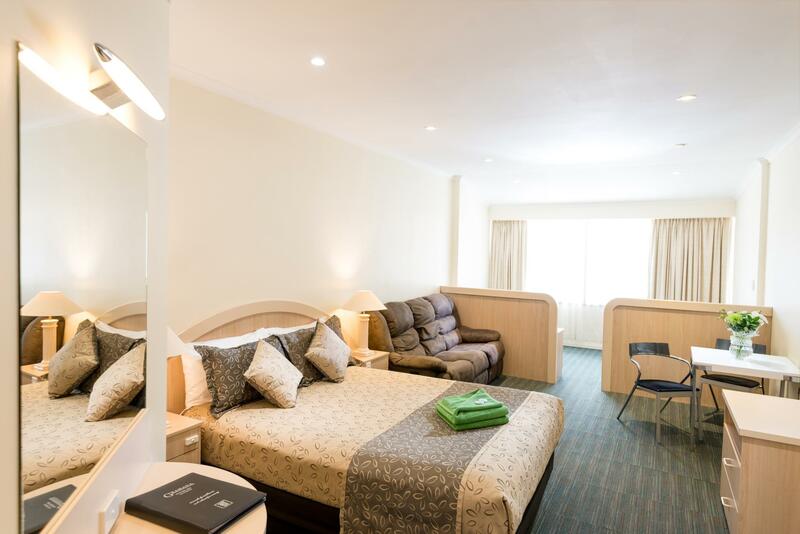 Close to restaurants where you can take away as kitchenette in room very well equipped . Comfortable bed , good A/C . Tv reception not good and Foxtel not working at the time of my visit . Very clean and comfortable . All in all its a good place to stay. Only issue is the lack of parking space when it is near capacity. We have to park on the side street, on the other side of the main street where the motel is on. Otherwise everything is tidy, clean and in order. Check in was easy and staff were incredibly friendly. Room was lovely and the towels were extremely soft! The bathroom was very nice for a budget stay and the water pressure in the shower was outstanding. Great location with lots of restaurants nearby. Fantastic! Good location, big clean room and nice price. We stayed there second time and love it. 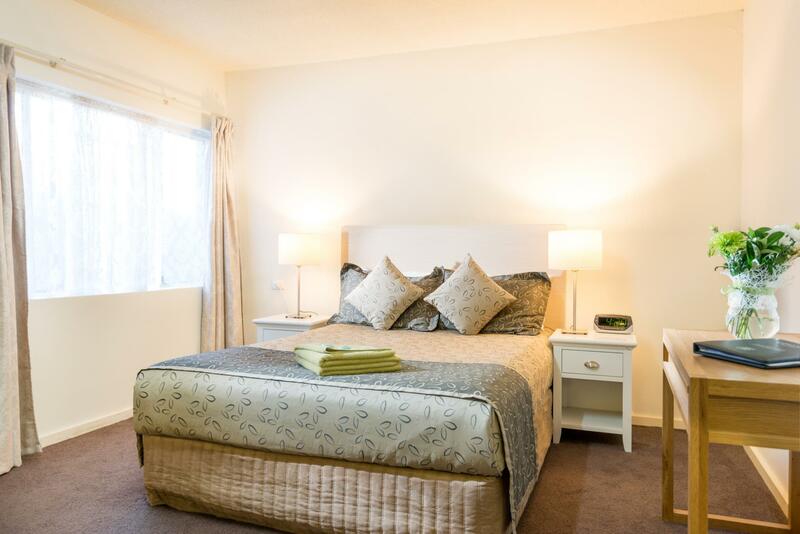 This place is great value for money Nice and clean the bed is comfortable the room is spacious and great heater/aircon. I was in a room facing the busy road so it was load at night. The only other down fall was the hot water. Our room was so touchy it was like a fraction left or right was cold or scolding hot. And don't flush the toilet OMG the water almost took a layer of skin off it was so hot. I like hot showers but this could be legally dangerous with the wrong person or young kids. I will stay again but I'd request a room at the back(so not so loud) but it was Showtime so the place was booked out. For $84.95 it was exceptional value for money. And the owners OMG are so friendly very willing to please and help. That hotel is very value for money. You will get unexpected room. We think that it would be a small room. However, receptionist put us free upgrade to a business suite. The room is fantastic, almost like a studio. They got a share kitchen. The room is not noisy at all. Very clean room, comfortable bed. Just one thing need to mention, the shower is quite funny in our room, sometimes too hot sometimes too cold. The rest is fantastic. We definitely recommend. I travelled with my husband and 2-year old daughter. We used the Agoda offer of AUD100 per night and stayed 1 night as the location was near a friend's place. The room is clean and comfortable which was what we would have expected. The room was also pretty big although the bathroom was pretty small. Nonetheless our family had a very good night's rest there. Travellers may want to note that ground floor may be a little noisy if people are using the pool... Our room was facing the pool but as it was cool weather, thankfully there was no one in the pool. Overall, a good place to stay for the price! This motel is on a very busy stretch of road but still easy to get in and out of. Surprisingly quiet given the traffic. 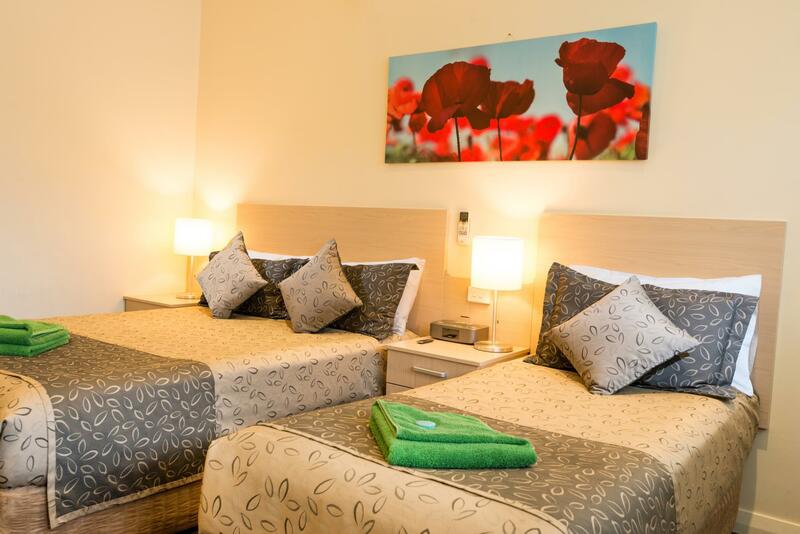 We stayed for 5 nights and were very happy - close to amenities, buses and because of the layout of the city it was easy to get to places especially the ranges, Harndorf etc WIFI was appalling though you had to go to different spots around the complex to get any reception. Did not eat in the restaurant. Even on a busy main road, my room was quiet; staff (owners) were very helpful; superb water pressure in shower. Made to feel welcome from the first minute of arrival. A very enjoyable few days, with nothing more than a couple of very minor queries to affect the total experience. I can't rate the food/dining because I didn't eat there. This questionnaire needs to have a "Not Applicable" box as well to cover situations like this. Located on Portrush road it is easy to find just off the highway from Melbourne.There is a bus stop outside so it is easy to get into the city without having to find parking. Be aware that many rooms are upstairs and parking may not be outside your room. 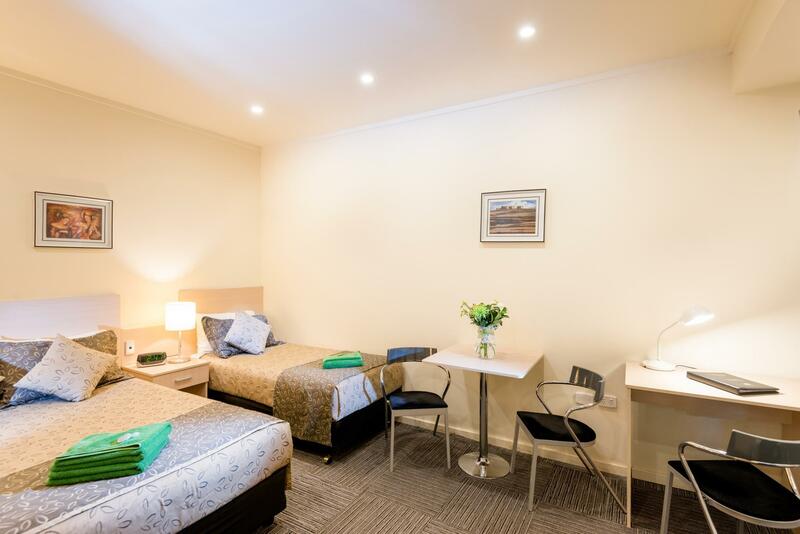 We traveled to Adelaide for a wedding and stayed at the Adelaide Granada Motor Inn, they were very friendly and even though our room was not ready allowed us to use their facility to change and freshen up. All in all a good stay. Location to Shops and Transport, Restaurant next door, Room had everything we needed. The room was comfortable including the bed and the room was clean throughout. We were surprised there was a spa bath as it wasn't in the description on the net. The pool looked clean and inviting but we were too busy to swim. We enjoyed our stay as it had the Mexican restaurant next door and the food was great including the breakfast delivered to our room in morning. The motel was close to public transport which is what we needed. Would definitely stay there again and recommend to friends.